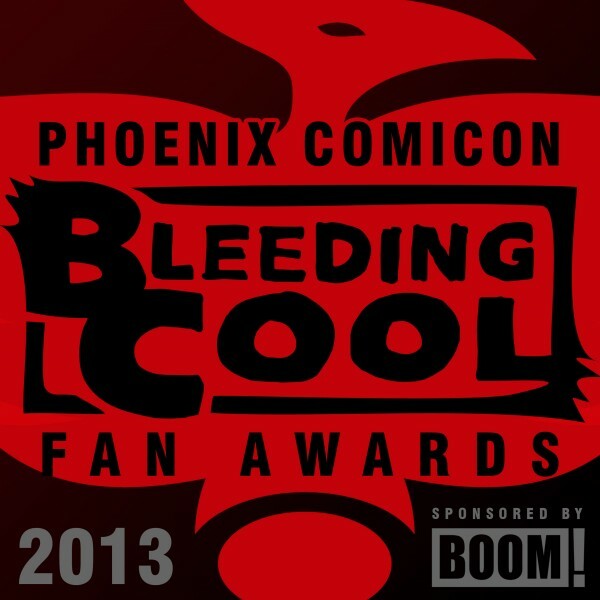 I just received word from Rich Johnston that I’m going to be one of the presenters at the Bleeding Cool FAN AWARDS at Phoenix Comicon! They’ll be held on Friday, at 6pm, in room 132. The awards are sponsored by BOOM! Studios, who will be handing out an exclusive Adventure Time comic book at the event.